My favorite thing to eat growing up was nutella. I would put nutella on almost everything and I would even have some in my locker in high school. In college I could easily finish an entire jar with a spoon. When I studied abroad in London, I basically lived off of nutella, bananas and bread. After I started eating really healthy I began to miss my chocolaty-hazelnut ex-lover. 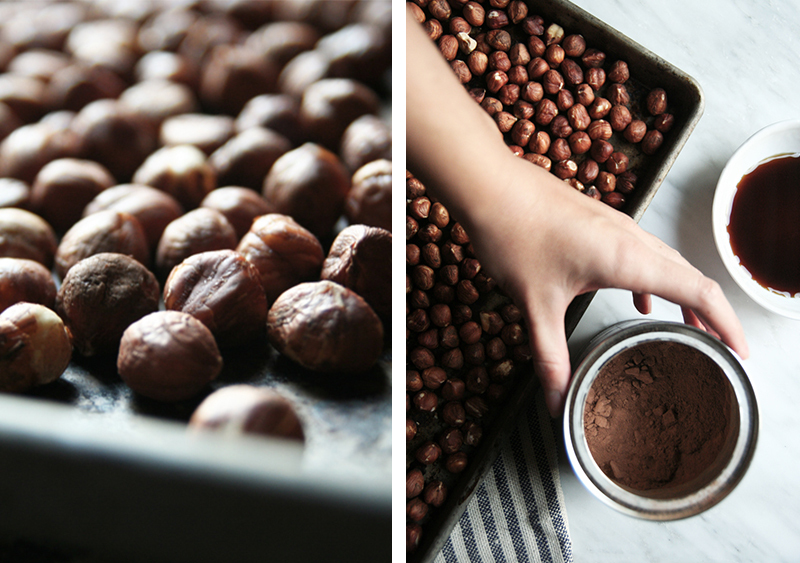 This version of nutella is nutritious and delicious (sorry, had to). I never feel guilty eating spoonfuls of this stuff. 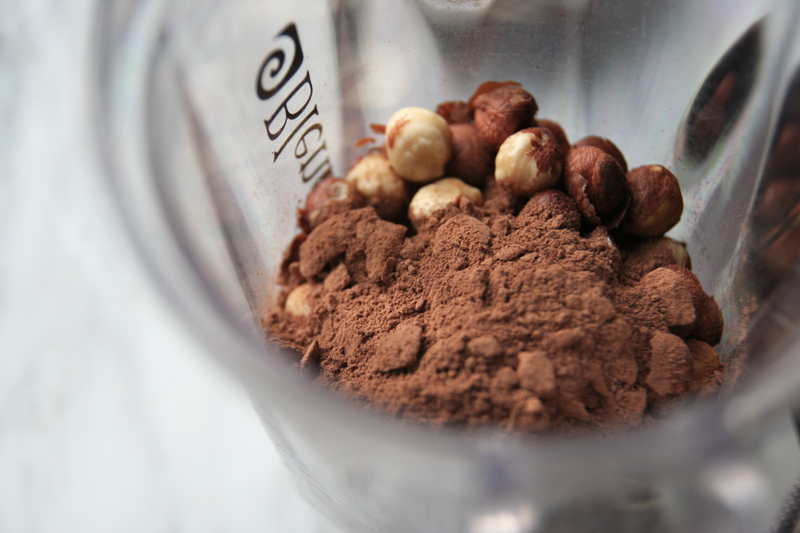 It is so easy to make all you need is a high-speed blender with a dry-attachment or a food processor. I use the BlendTec Blender and their Twist Jar Attachment. I use my blender and specifically this attachment almost every other day for making all sorts of recipes! If you do not own a food processor or a dry-attachment for your high-speed blender, you can still make this recipe. 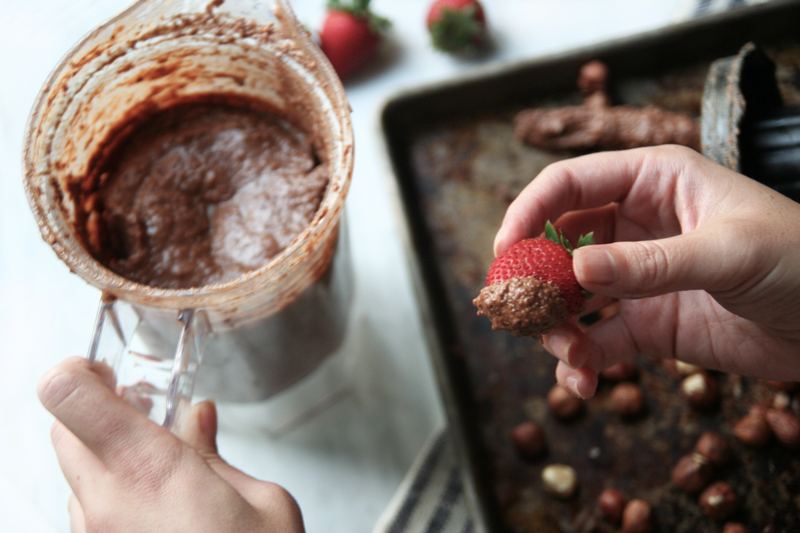 In your high-speed blender, add more water and possibly syrup… your nutella spread will turn out softer and more spreadable. This nutella recipe is so incredibly easy to make after you have the right tools, which I highly recommend purchasing. The recipe requires only three ingredients and water! Make sure to purchase or pick up 100% pure maple syrup, Grade B.
I love having this spread in my refrigerator, it makes for a really nice treat after dinner and delicious breakfast add on to smoothie bowls, oatmeal, fresh fruit or toast. My absolute favorite thing to pair it with is Graham’s homemade “swedish pancakes” or crepes. 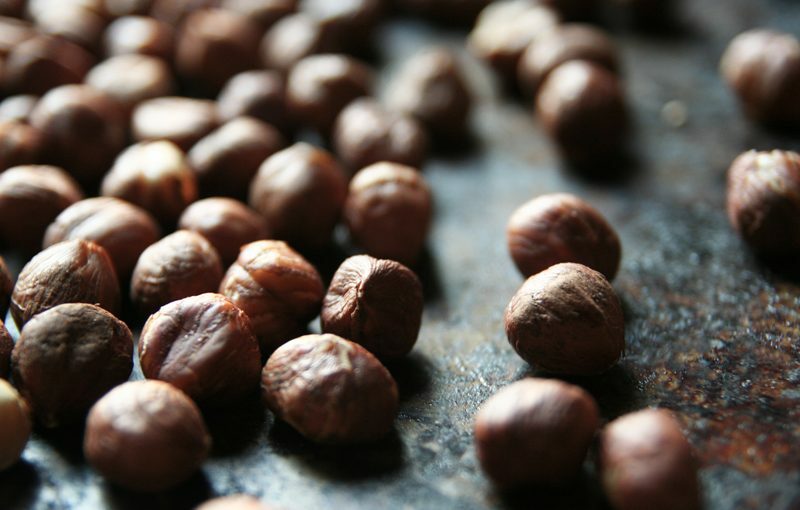 Preheat your oven to 375 degrees F. Spread hazelnuts onto a baking sheet and roast nuts in the oven for 15-20 minutes, be careful not to over roast. Combine ingredients into your high-speed blender with dry-attachment or food processor and blend until your texture preference. I like to leave mine a little chunky, with little bits crunchy roasted hazelnuts. 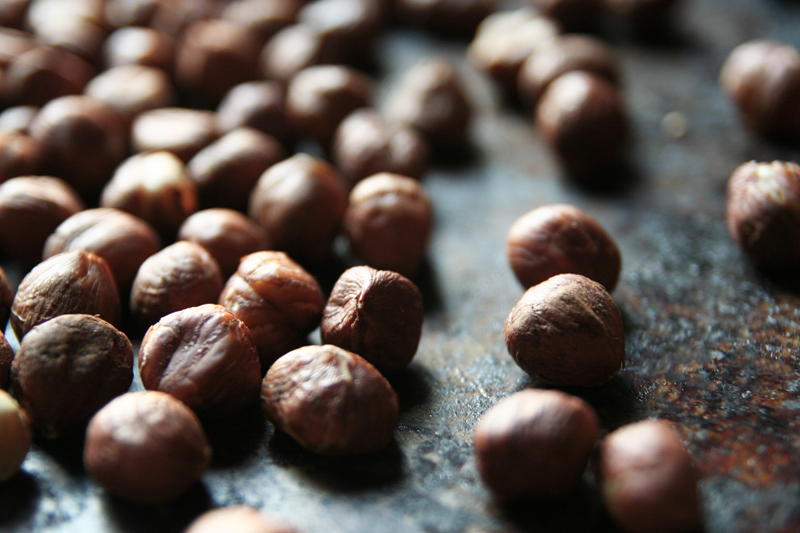 Do you remove the skin from the nuts after roasting? Hi Patty, no I do not remove the skin. I find that majority of the yummy flavor and taste comes from their flaky skin. 🙂 Thanks for your question! Have a lovely weekend.